Not all leather furniture is created equal. That is why I only specify and sell American Leather furniture to my clients.. American Leather offers a large variety of styles and colors. 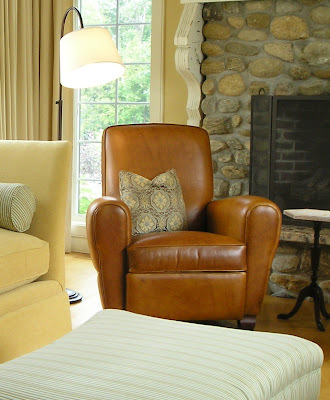 My favorite pieces are recliners that look like club chairs, as shown in this example. When considering leather furniture, consider the finest quality so your investment will last for decades.